On the New York to New England 2-day trip, you’ll explore a region full of history and rich culture. New England is known to be the home of some of the first movements of American philosophy and literature. 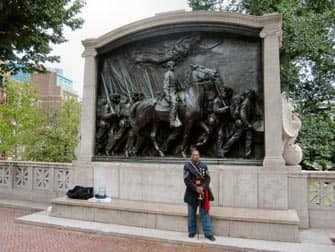 This two-day trip to New England takes you through the states of Connecticut, Rhode Island and Massachusetts. You will visit the great universities of the East Coast (Yale, Harvard and MIT), see the Mayflower II and sleep in a three or four star hotel. The two-day tour departs by coach every Tuesday from Gray Line Visitors Center early in the morning. On the first day you will start off by visiting Yale University. 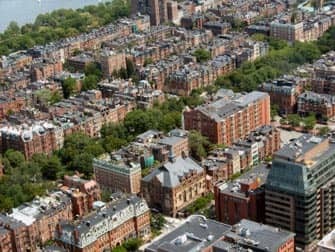 This Ivy League university is known around the world and has an impressive alumni list including celebrities, senators and presidents. After you have sampled the vibe of the intellectual elite you will head to Newport, Rhode Island – the birthplace of the famous America’s Cup yacht race. The tour then takes you past the impressive mansions to the Breakers, a 70-room mansion built by the Vanderbilt family. Keeping within the history of famous families, you will journey 1.5 hours to Hyannis, Massachusetts, home of the Kennedy Compound – a six acre waterfront property where John F. Kennedy ran his successful U.S. Presidential campaign in 1960. Here you will visit the John F. Kennedy Museum and Memorial and learn about one of the most famous presidents of America. Hyannis is located in the Cape Cod peninsula, the easternmost portion of the state and known for its prominence in American history. You will pay a visit to the Cape Code Maritime Museum where you can learn, or brush up on, American history. The day ends at a 3- or 4-star hotel in Hyannis or South Yarmouth, a neighbouring village. The second day starts, after enjoying breakfast at the hotel, by visiting the Mayflower II in Plymouth, a replica of the famous Mayflower. The Mayflower was a ship that transported Dutch- and Englishmen in 1620 to the United States. The Mayflower II is an almost one-on-one faithful replica designed by naval architect William A. Baker in 1956 and is extremely impressive to see. 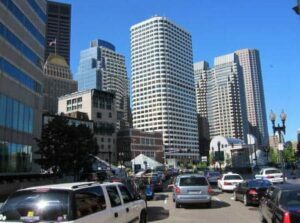 From Plymouth you will head up to Boston where you will explore Boston Common and walk the Freedom Trail. You can enjoy lunch at Quincy Market (not included) before heading to the famous universities of Harvard and Massachusetts Institute of Technology (MIT). After two days filled of intellectual, culture and historical site-seeing, you will head back to New York arriving in the late evening.